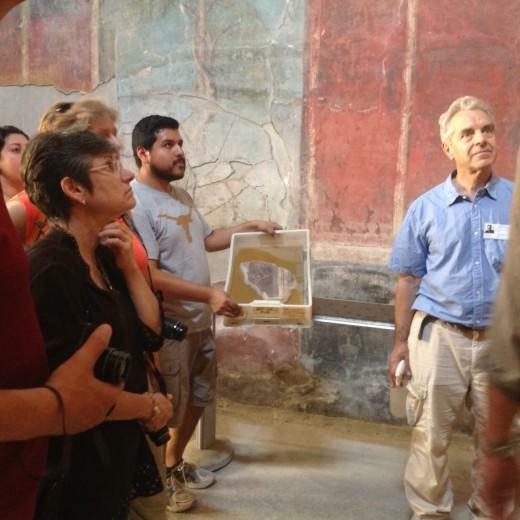 This summer Dr. Regina Gee hosted an MSU study group at her research site of the Villa Oplontis, a luxurious Roman seaside villa buried in the same eruption of Mt. Vesuvius that also famously destroyed the nearby town of Pompeii in the year 79. The MSU contingent consisted of President Waded Cruzado, Dean Nancy Cornwell, Director of the Museum of the Rockies Sheldon McKamey, Director of Exhibits Pat Leiggi and Commissioner of Higher Education Clayton Christian. The visit was part of the logistical planning stage for MSU’s hosting of an exhibit at the Museum of the Rockies titled “Leisure and Luxury in the Age of Nero”. Dr. Gee is one of the three scholars curating the exhibit, which is scheduled to arrive in Bozeman in the summer of 2016. The other venues are the San Antonio Museum of Art, the Kelsey Museum at University of Michigan, Ann Arbor, and Smith College. 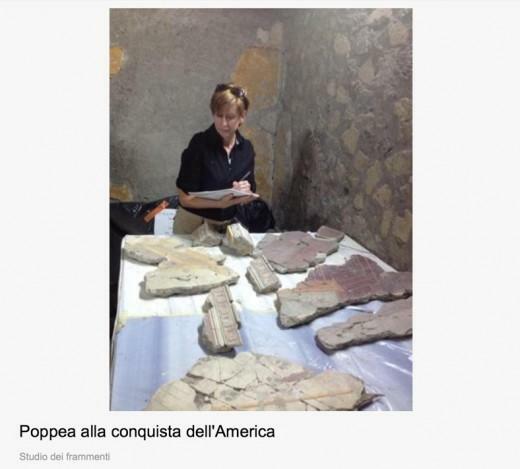 Largely in response to the painstaking work the Oplontis Project (oplontisproject.org ) has executed over the past seven years, the Italian Ministry of Culture has granted permission to bring material finds from the villa to the United States for a one-time only loan period. The bulk of the material, which includes fresco fragments and marble sculpture from the Villa’s gardens, has been in storage and archives and never previously exhibited. While the exhibition will highlight the colonnaded architecture, monumental wall paintings, impressive gardens, and sculptures, it will (unlike other exhibitions about Pompeii and surrounding villas) also foreground the role of non-elites in villa life. The daily activities of the household slaves and the economic enterprises run by freedmen (often on behalf of their former masters) enabled and sustained the physical and social fabric of elite villa life. A variety of items related to commerce along with a selection of jewelry and coins from the site will suggest how these two different social spheres in ancient Rome were interlocked, and how they met their tragic end. As part of their informational study, the MSU group attended a conference in Pompeii hosted by the School of Art with a presentation on the exhibit by Head Curator Elaine Gazda (University of Michigan, Ann Arbor), and met with Dr. Massimo Osanna, the current Superintendent of Pompeii. 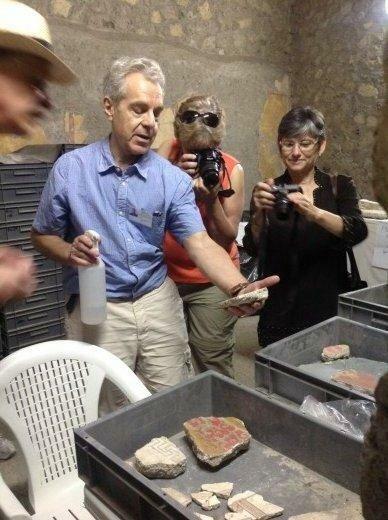 They were also hosted by Director Thomas Noble Howe (Southwestern University, RAS Foundation) at the Vesuvian Research Institute for Archaeology and the Humanities (www.vesuvianinstitute.it) to assess the potential for using the institute to house an MSU faculty seminar for curriculum development and community education. 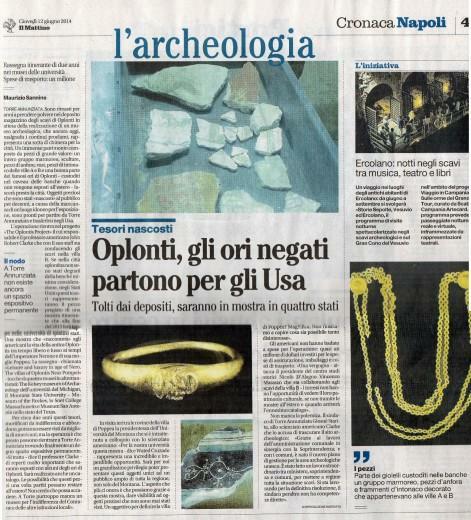 President Cruzado and Commissioner Christian were also interviewed by Italian journalists about the exhibit coming to Bozeman and an account of their visit subsequently appeared in two separate articles in daily newspapers.